One of the real-time cause & effect issues with customer data – is that it’s constantly shifting. Your CRM is often unaware of these social and life-stage triggers, record adjustments and corrections so regular screening and appends are vital to keeping your insurance marketing data relevant. These changes cause customer data to rapidly decay, which can have a huge but often unnoticed impact on the accuracy and effectiveness and very quickly the cost of your insurance marketing campaigns. More damaging this poor data and customer record management are lessening your brand’s reputation in the eyes of your customers. 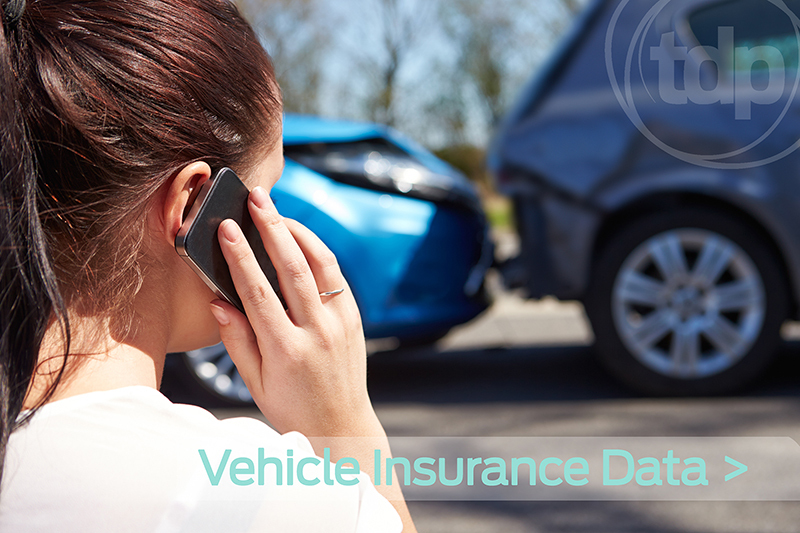 We can connect UK Insurance providers with specific data of vehicle owners, fleet data and motoring specific marketing records that can optimise your existing database or help you quickly locate prospective policy sales. With our Vehicle insurance database, you will be able to select your specific target group index or TGI of who specifically your underwriters cover or your vehicle insurance USP. With competition for paid space on Google’s PPC for Car Insurance pretty unevenly distributed and the individual insurance keywords cost disproportionally high, getting your brand ranked on organic search is harder than ever. Google has been operating its own car insurance comparison site for some time, scraping in information from a variety of high-profile insurers, so using specific, pre-search data has never been more relevant. Our vehicle Insurance Data can be supplied with name, address, telephone number and/or e-mail address where applicable. Additional criteria can also be included such as age, their location, homeowner status, house/car type and even income, to ensure a well-targeted approach. From car owners who may need service work to those who may in the market for a vehicle warranty, we can work with you to match your existing customer profiles or even address the accuracy and penetration of your current motoring CRM data. On our Adwords platform, we noted that even misspellings are going for a premium. Search terms like ‘car insurence’ regularly sell for much more than is really practicable. We counted 700+ suggested keywords in this sector alone, and almost all of them are ‘high competition’ or eye-wateringly expensive for a web visit. Obviously, the insurance industry is incredibly competitive, much like all other financial sectors in search marketing, but qualified data with renewal sates by month and even specifics on the current provider is always going to be far more cost-efficient than lining a search engine’s pockets. We provide a free data count & record analysis on your existing market and or even lapsed customer database. Cleansing your data, whether as a part of a regular process, or as a one-off exercise, has clear and immediate benefits for your business. Reducing the costs associated with contacting people who are no longer relevant to your campaign is a benefit for all, cleansing can also help your business comply with GDPR data regulation and avoid you calling clients who’ve registered with the ICO. The biggest win though is to improve your response rates and return on investment by making sure your insurance campaigns are targeting the right customers at the right time, and we suggest the ‘pre-search engine’ is the perfect time to market.